The vast majority of modern hunting rifles have some type of optic, generally a scope. Your choice of optics is critical when hunting, and you need to be sure that you can place the bullet exactly where you need it to go for a quick, clean shots. That begins before the season. Most scopes require rings and bases to be mounted. The bases are mounted first, and then the rings are put in place. 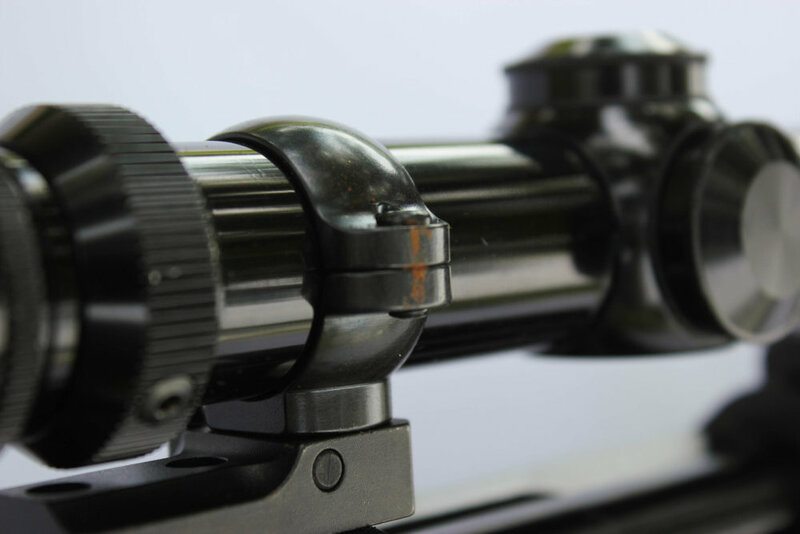 When the scope is properly aligned you can tighten everything down to be sure it is secure. Most scopes require you to purchase bases and rings that mount directly to your rifle, but this isn’t always the case (CZ and Ruger rifles, for instance, have bases machined into the metal of the receiver itself, so you won’t need to buy them, and Ruger provides rings with most of their hunting rifles). You’ll need some basic tools, most of which are provided when you buy bases and rings. Usually this means a small Allen or, more commonly, a Torx wrench. Be sure that the bases are tightly secured to the rifle but not overtightened. They should be firmly planted and snug but not tightened so hard that they cannot be removed. Its critical to be sure that all of the screws are properly tightened so the scope won't move and "lose zero." These Leopold rings come with a wrench that allows you to tighten the scope as needed. Next are the rings, which should be affixed to the bases using the provided screws. I have a one-inch dowel rod that fits in my one-inch rings, and I like to place the dowel rod in the mounted rings to be sure that the rings are properly aligned. Place your scope in the rings and check reticle alignment—if the reticle is properly aligned so that it is level when you shoulder the rifle and the scope is not too far back (you don’t want the scope to hit your eyebrow when firing), you can tighten the rings to hold the optic in place. Be sure that the rings are not resting against the magnification dial. I like to begin zeroing at 25 yards. From that distance it’s easier to get on paper and you shouldn’t have to make many adjustments when you switch to 100 yards. I begin by bore-sighting the rifle if possible. With a bolt action, remove the bolt and make sure that the gun is completely unloaded. Place the rifle on a fixed rest with a target at 25 yards. After sighting in at 25 yards, you can move to 100 yards and expect to be quite close. This group was produced at 100 yards using a Ruger Guide Gun in .375 Ruger. Adjust the rifle so that when you look down the barrel the center of the target is aligned with the center of the bore of your rifle. Then, without moving the rifle at all, adjust your scope so that the crosshairs are on the center of the target. When the center of the target is in the center of the bore and the crosshairs are aligned on the center of the target, you are bore-sighted and you are ready to fire the first round. Make sure that it is safe to fire a round by checking the target, the surrounding area, and knowing exactly what is behind the target. Never fire a shot until you are sure that the range is clear and no one is downrange. Then, fire a round at the target. It may not be dead-on, but you should be close and can make adjustments with your scope accordingly. When you are on-target at 25 yards, you can switch to 100 yards. Again, you might not be exactly on target, but you should be able to hit a standard target at 100 yards and can adjust from there. When you are finished, check the scope for any signs that it is coming loose or shifting. Make sure everything is secure. Once you are on-target at 100 yards, continue practicing. Most modern hunting bullets, when sighted in roughly two inches high at 100 yards, will be on target at 200 yards, but this varies rifle-to-rifle and load-to-load, so verify before taking a shot at a big game animal at longer ranges. Remember that safety is always paramount—always wear eye and ear protection, control your muzzle, have a solid backstop and never fire a shot unless you are absolutely certain it is safe to do so. Some rifles like this Ruger guide gun, don't require bases because they are machined as part of the receiver. That means you'll just have to add rings (which in Ruger's case are provided) and a scope.